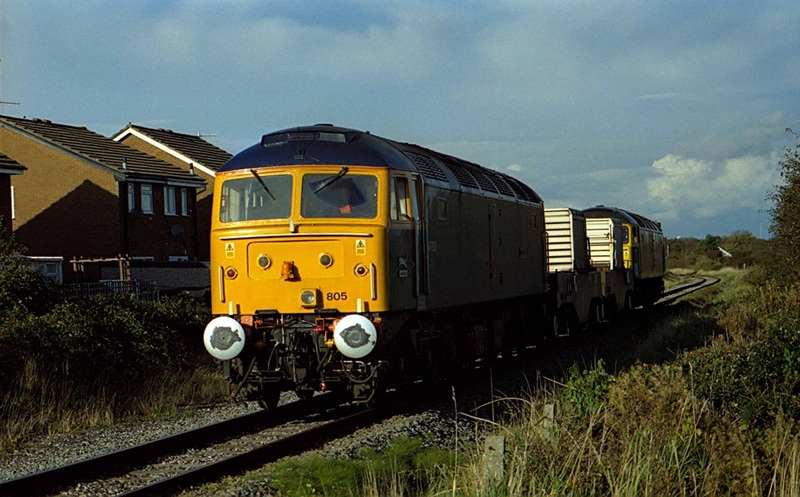 47197 took several ECS stocks to Long Marston for storage once Virgin had dispensed with Mk3 and 87/90s operations. 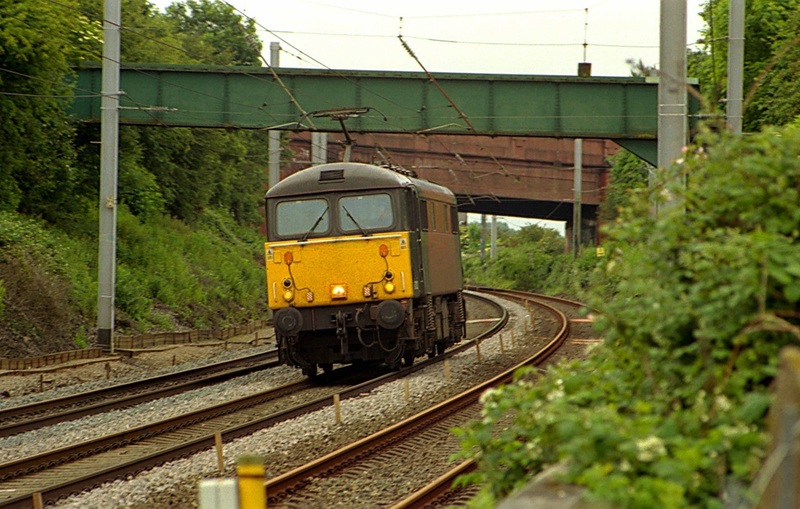 This rake included 3DVTs at the rear of the train. 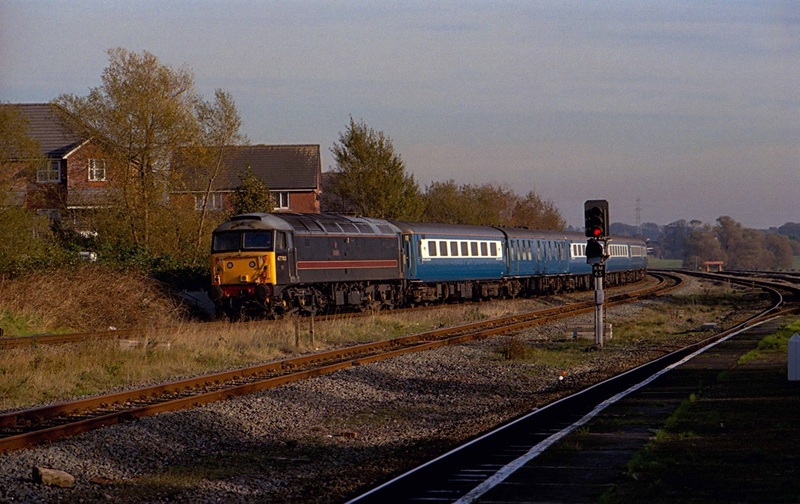 DRS took 4 Class 87s in 2005 and repainted them in Blue livery. 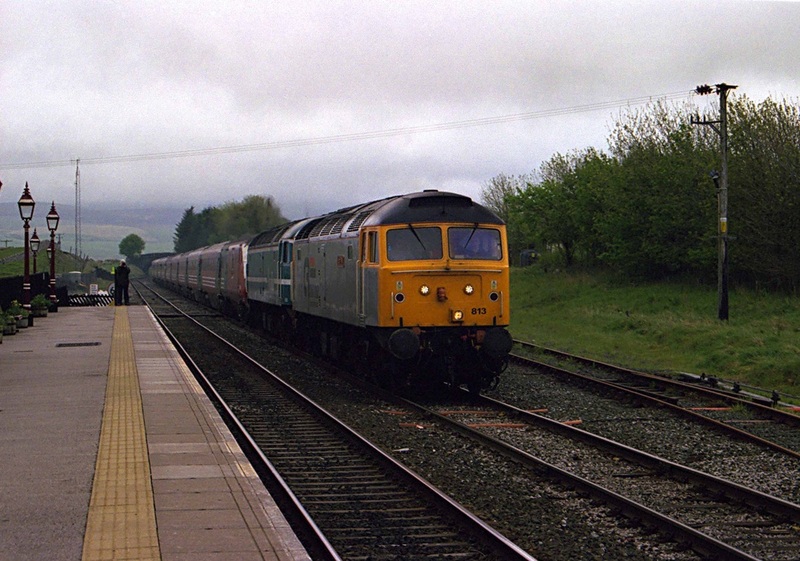 My only shot of any of them as DRS locos came in rainy conditions, as 87028 runs light engine north to Kingmoor on 1/4/2005. 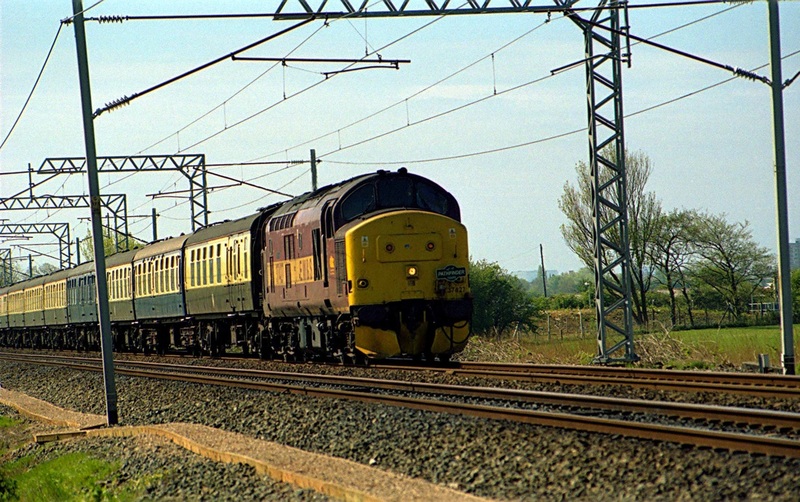 EW & S 37427 heads over the site of Hest Bank troughs with a Pathfinder Charter on Bank Holiday 2/5/2005. 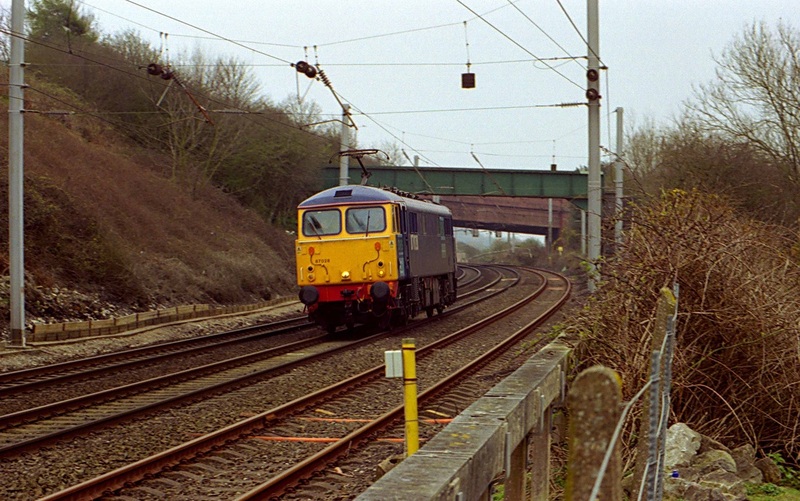 GBRF also took several Class 87s in 2005. 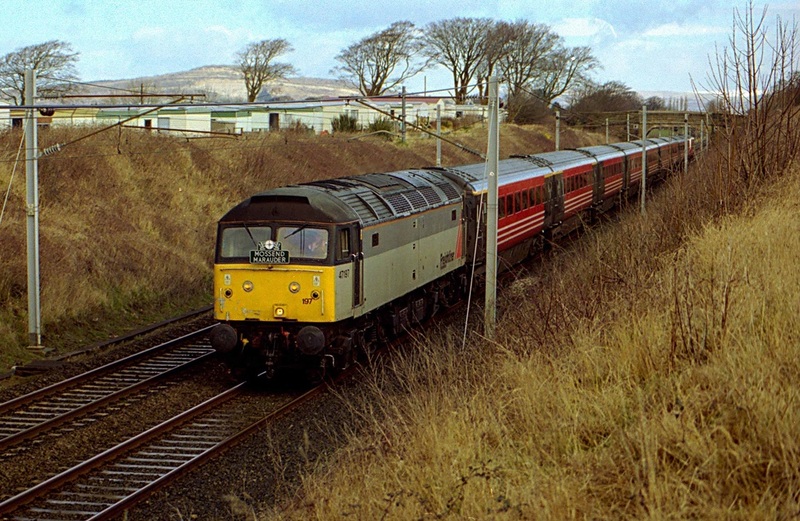 Here unnamed and unbranded Virgin trains liveried 87013 runs light engine past Hest Bank. The date was 18/6/2005. 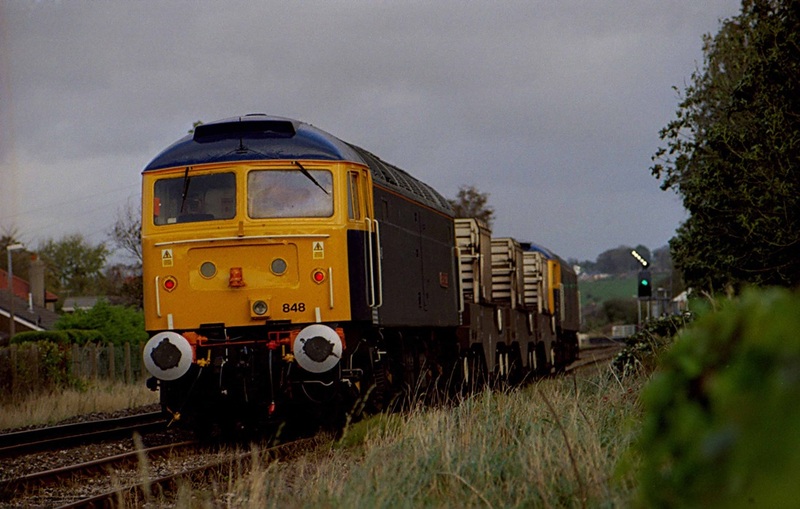 Hellifield, and the GBRF Gypsum working passes the station with 66715 on 10/2/2006 heading to Kirby Thore. 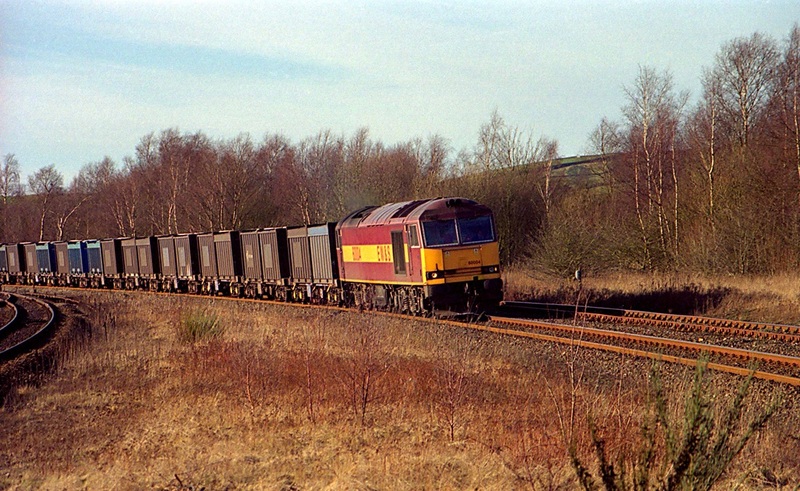 A regular Class 60 working was the Gypsum train from Kirby Thore. 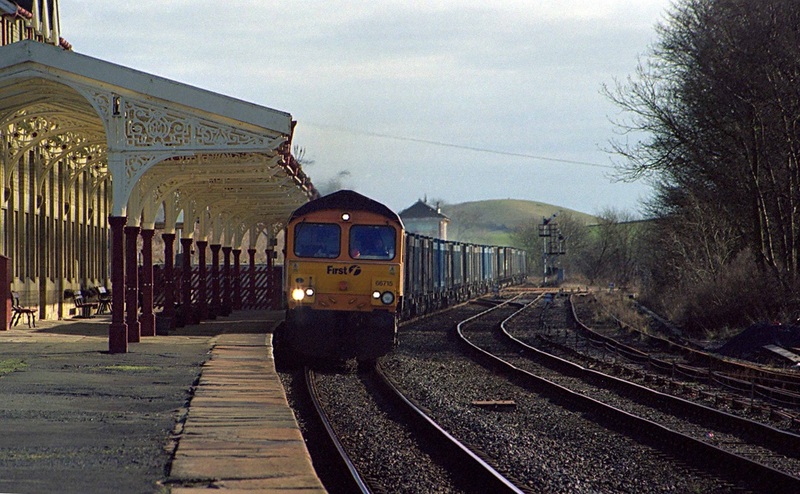 EW & S 60004 approaches Hellifield on a cold but sunny winter's afternoon, 10/2/2006. 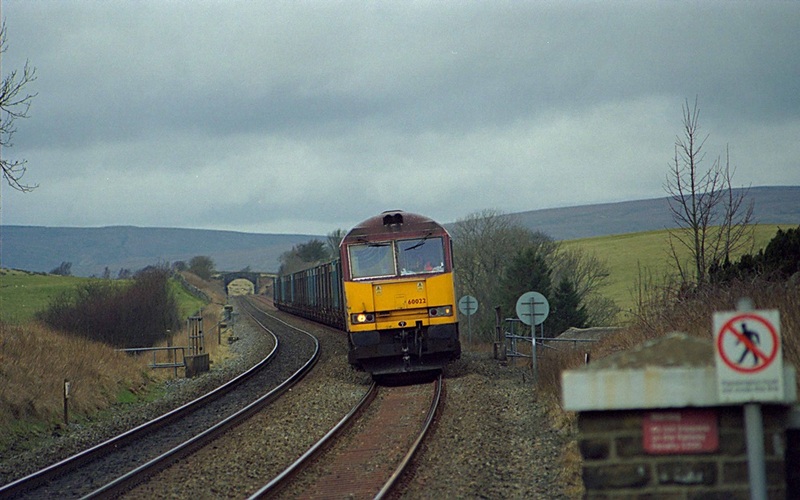 By contrast, 60022 approaches Horton-in-Ribblesdale on a cold,dull afternoon, 27/2/2006. 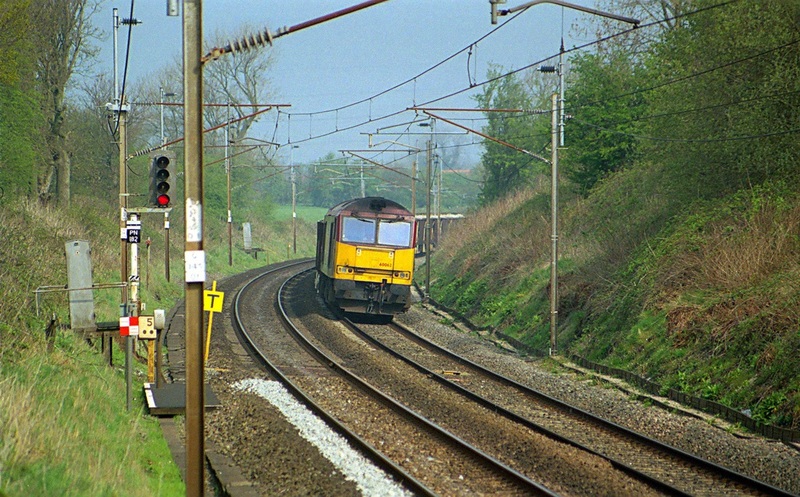 Cotswold leads Anglia. 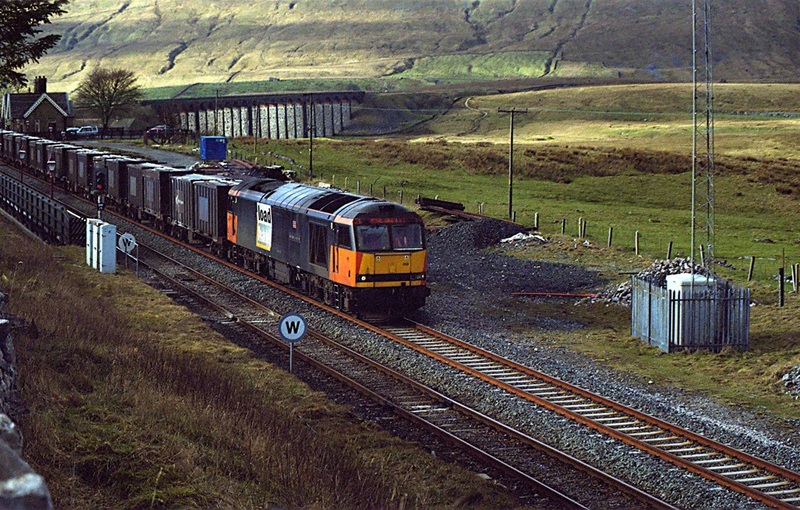 47813 leads 47714 past Ribblehead station on 27/5/2006. 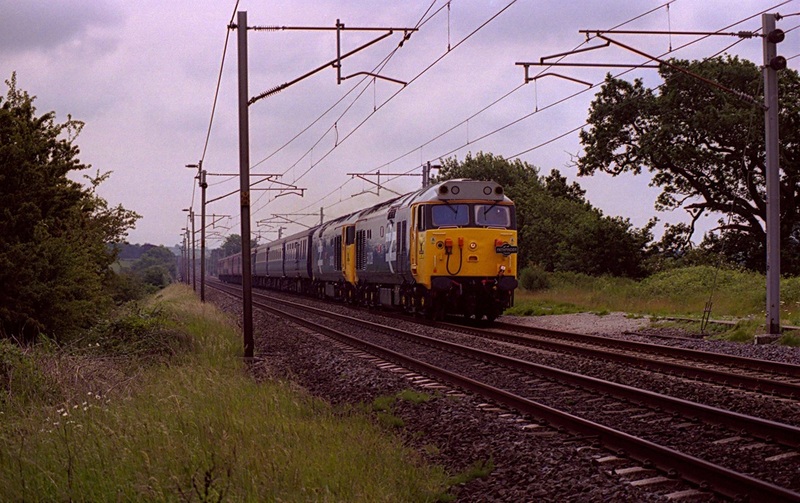 Approaching Whasset, to the north of Carnforth, Class 50s 031 and 049 head a Pathfinder weekend jolly to Scotland. 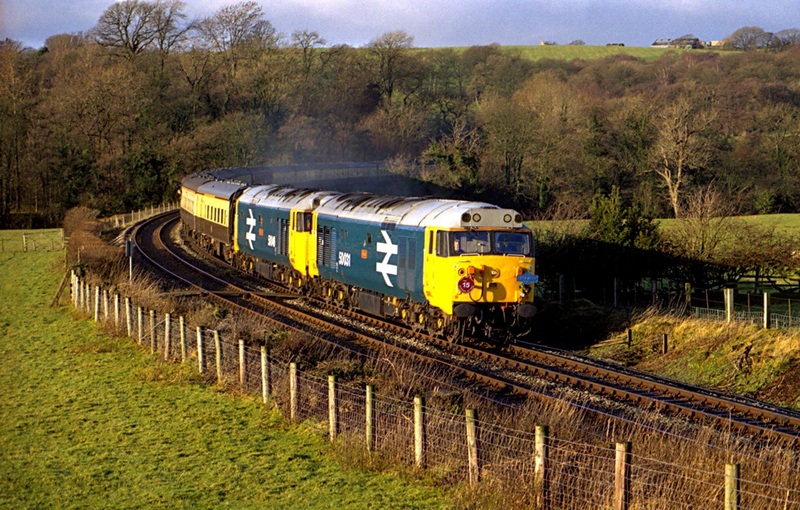 The 50s had been renumbered on one side only as 50028 and 50012, and also had Highland Stag emblems added to the side of the cabs. The date was 16/6/2006. 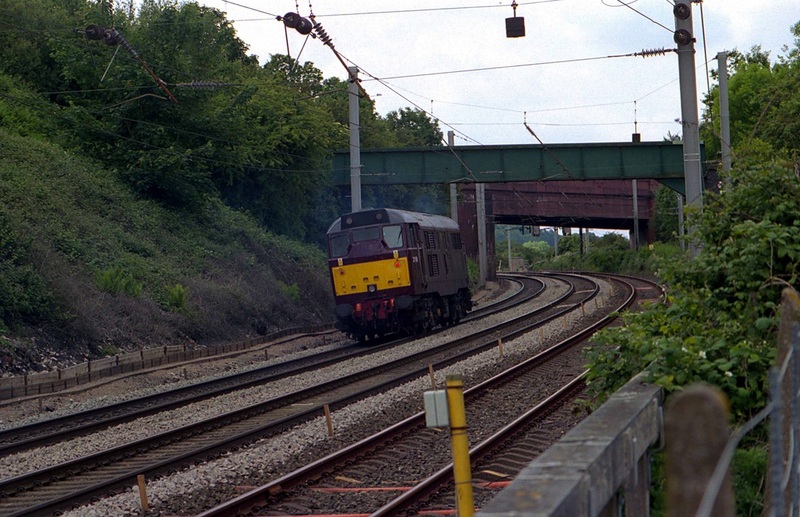 Another livery for 47832, with FM rail applying their Black FM logo'd livery (now to be found in DRS Compass), as it enters Oxenholme. The weather this day, 14/9/2006, was a typical Autumn wet day in the Lakes!!! 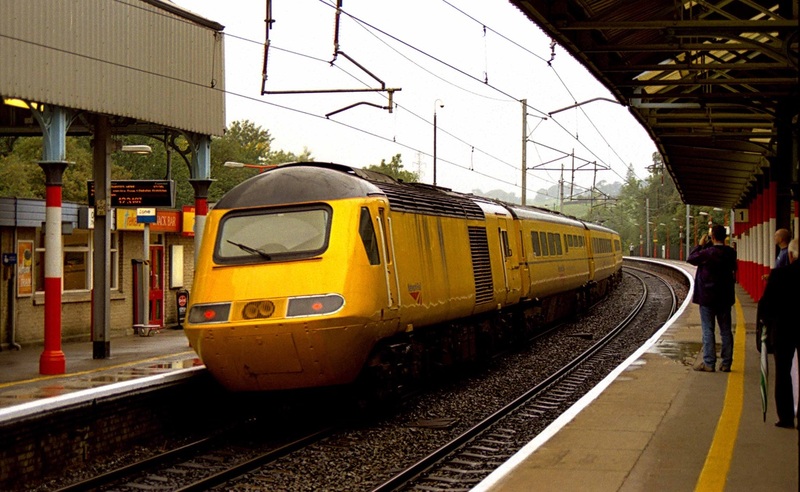 Network Rail once used up to 6 HST power cars, whereas now it draws on 3. 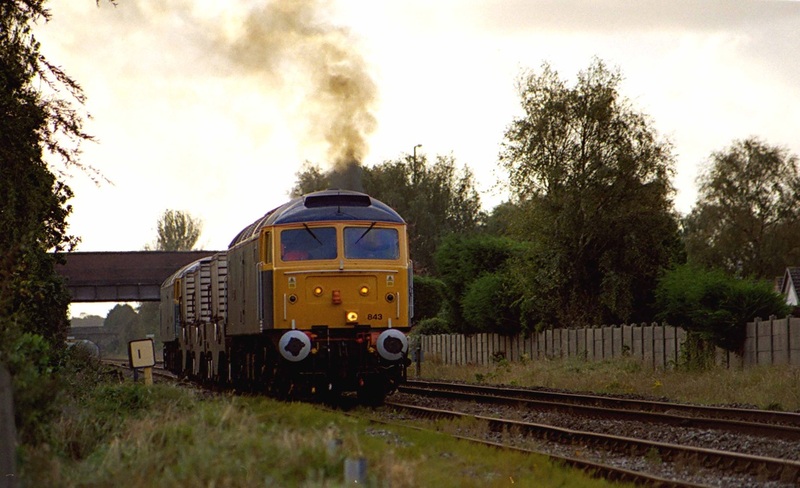 This was one of the others once used, as 43196 heads north through Oxenholme on a NMT working on 14/9/2006. 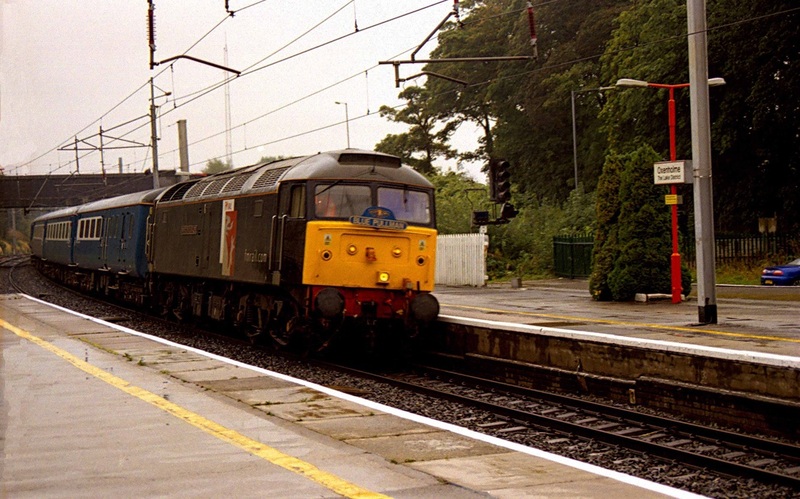 DRS hired in Riviera 47s for a short spell in 2006 to cover for insufficient locos. 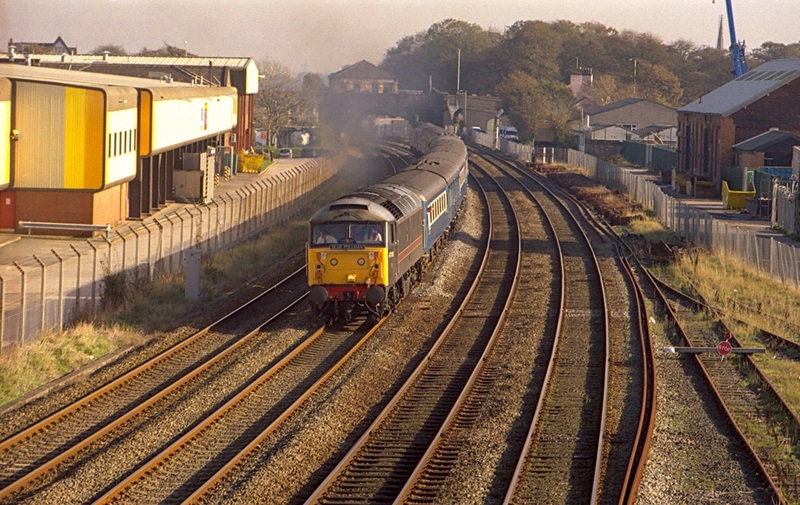 Here 47805 tails 6C52 with DRS 47501, working back from Heysham PS, having just come over Heysham Moss. The date was 19/10/2006. 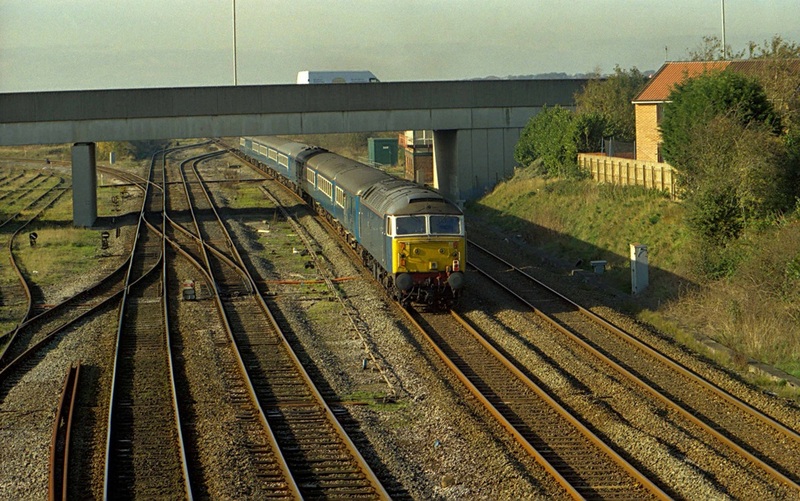 And tailing was 47712 in Blue Pullman livery. 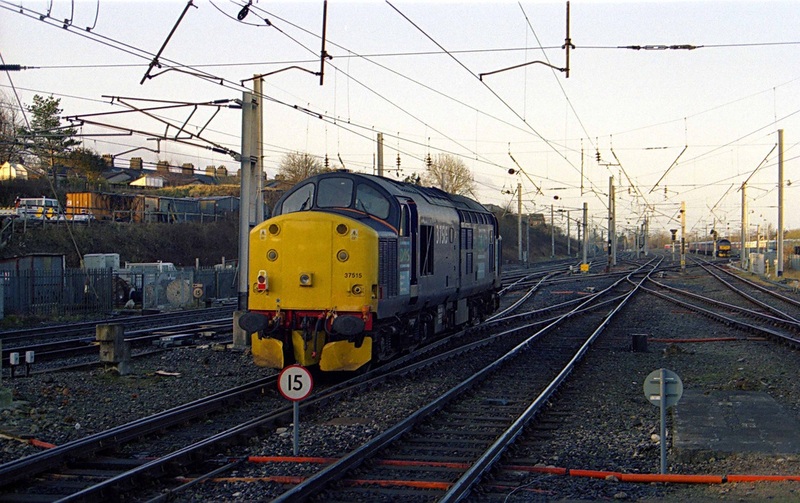 The Blue Pulllman returned ecs to Preston for stabling until later that evening. 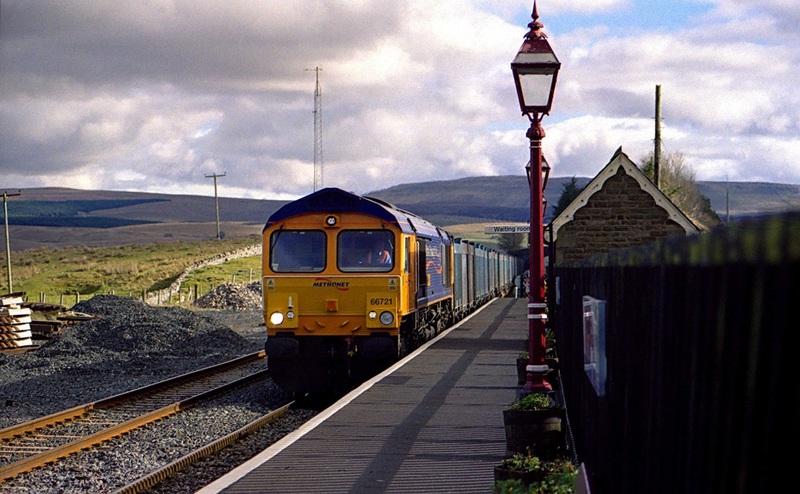 Freightliner 47s were utilised on route learning duties for several weeks at the end 0f 2006, and into 2007, over the LNWR from Carnforth to Hellifield. 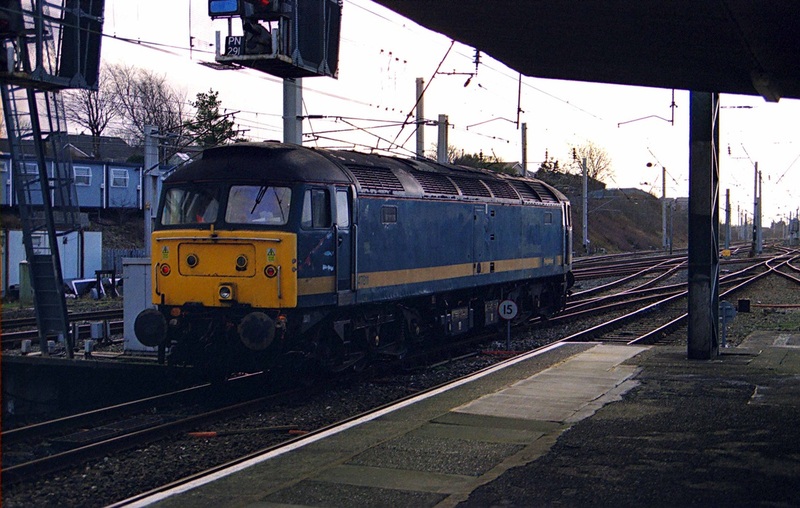 47811 returns south through Carnforth on 17/1/2007. 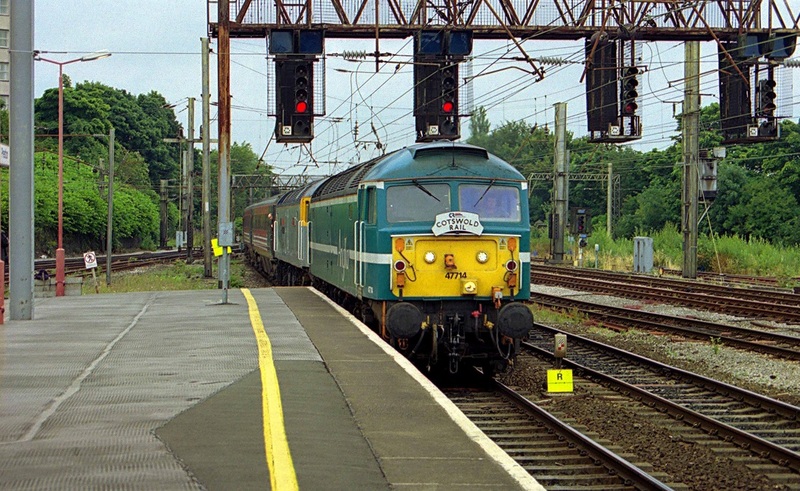 Another view of 47811. 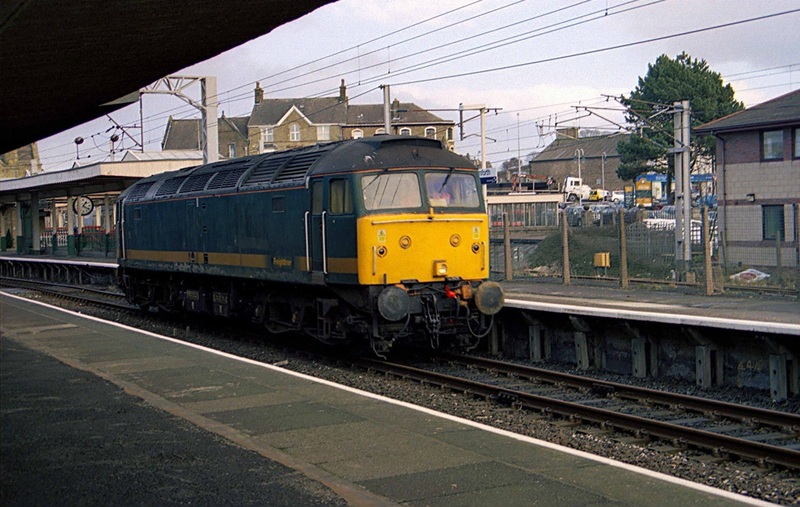 The other 47 used was 47830.